Cell phones and cancer. It’s a connection that’s been discussed for years, but one possibility does appear to exist, at least among some women. It all depends on where they carry their cell phone. Millions of women, especially young ones, choose to keep their cell phone in their bra. It’s convenient because it allows women to ditch their purse and remain hands-free. Also, many womens’ clothes are without pockets. So without a purse, the bra is the obvious choice for many for storage. Furthermore, in noisy environments, when they ordinarily wouldn’t hear cell phone ring tones, women like placing their cell phones on vibrate mode and placing it in their bras to continue receiving calls. A recent survey reveals 40 percent of college females place their cell phone in their bra at least some time during the day. Three percent report doing it for more than 10 hours a day. 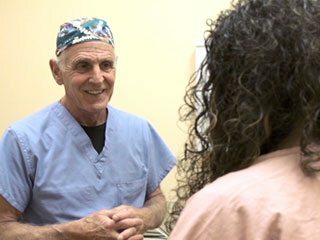 Dr. John West, a Los Angeles breast surgeon, said women need to stop this practice. “We must make the bra a no phone zone,” he said. West believes storing the cell phone next to the breast for an extended time could cause breast cancer. But since cell phone technology is fairly new, evidence from critical long-term studies simply isn’t available yet. “We won’t know for the next 20 or 30 years, we won’t have collected sufficient number of cases to prove beyond the shadow of a doubt that the cell phones are causing the cancer,” he explained. Dr. West said one clear signal is that he’s seeing more breast cancer in young women than he’s ever seen in his 40 years of practice. “When you take something and put it directly on the skin, high energy microwave radiation for prolonged periods of time in young women with vulnerable, developing breasts, we may have a perfect storm,” he said. Doctors diagnosed Donna Jaynes with breast cancer at just 38 years old. “I had to go through a mastectomy, a single mastectomy, went through chemo, six runs of chemo, 39 doses of radiation, it was back-to-back continuously, it took a heavy toll,” she recalled. Jaynes questioned how she got her cancer, since she had no risk factors. The answer, she says, was on her X-ray. She said the tumors were in the exact spot where she used to tuck her cell phone and were even shaped like the phone. Jaynes said she stored her cell phone in her bra every day for about 10 years. Rachel Depalma shared and almost identical story. “I used to wear it over the left side, and I would just tuck it in my bra whenever I would go for hikes or walks with my girlfriends,” she recalled. That went on for about five years. “I just happened to be putting on a shirt and I noticed the lump and I thought, ‘That’s a little odd, I don’t remember that being there,'” she said. Stunned by her X-ray, Depalma came to what she called an obvious conclusion. Despite stories like these, women carrying cell phones in their bras is, if anything, becoming even more popular. In fact, bras with pockets for cell phones are now on the market. Dr. June Chen, a Los Angeles radiologist, grew suspicious as she diagnosed more and more of her young patients with cancer. “It’s very unusual for women in their 20s and 30s to have breast cancer, period, let alone such extensive breast cancer,” she explained. She advises all women to keep their cell phones away from their bodies until studies conclude whether close proximity causes cancer. Most cell phone companies acknowledge some risk. For example, Apple advises keeping the iPhone more than a half-inch from the body. But such safety guidelines are often overlooked. So according to some breast cancer survivors and the doctors who treat them, women should declare the bra a “no phone zone” before it’s too late. Next article Parents Buying Smartphones for Children without an RF Safe Headset is a Very Stupid Call!